HAVANA, TRINIDAD – OR BOTH! 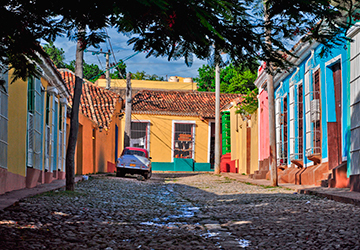 Anyone who has visited Cuba will tell you that it is a trip they will never forget. 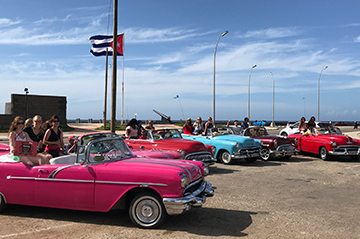 The historically rich UNESCO World Heritage cities, the spectacular landscapes, the friendly people, the classic cars – Cuba is the pearl of the Caribbean. This year, ROOSTERGNN is selecting a group of Artists-in-Residency for a unique Artist Residency in Cuba. The 2019 Artist Residency can be completed in Havana or Trinidad, or both! Explore the rich artistic culture of the Cuban capital, where modern art galleries are popping up alongside traditional Cuban artists on view at the Museo de la Revolución. Don’t miss out on the street artists, be it graffiti sprayers or the countless musicians that sing and dance on the bustling streets. And at any time of day, take an inspiring and refreshing stroll down the Malecón, Havana’s iconic boardwalk. If you’re into the history of the mafia, the Hotel Nacional and the Hotel Sevilla will allow you to travel back in time. And above all, don’t forget to take a ride in a classic car. And then there’s Trinidad, a 500-year-old colonial town, where horses and cowboys still abound on the cobblestone streets. Trinidad is ideal for artists, be it for photographers capturing the color-blocking architecture at sundown, or dancers looking to immerse themselves in the salsa culture. 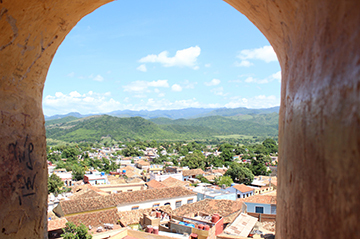 Our program in Cuba is based on full cultural immersion, a 360-experience of the Cuban lifestyle, all while working on a project that you love. Writers. Applications are open to writers of all literary disciplines: fiction, non-fiction, poetry, short stories, etc. The proposal can be to work on an existing project (e.g. if you are already working on a book) or to complete an entire project during your residency in Cuba (e.g. a collection of poems about Cuba). All languages admitted. 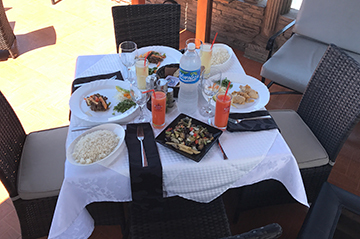 Accommodation in central Havana and/or central Trinidad, Cuba. 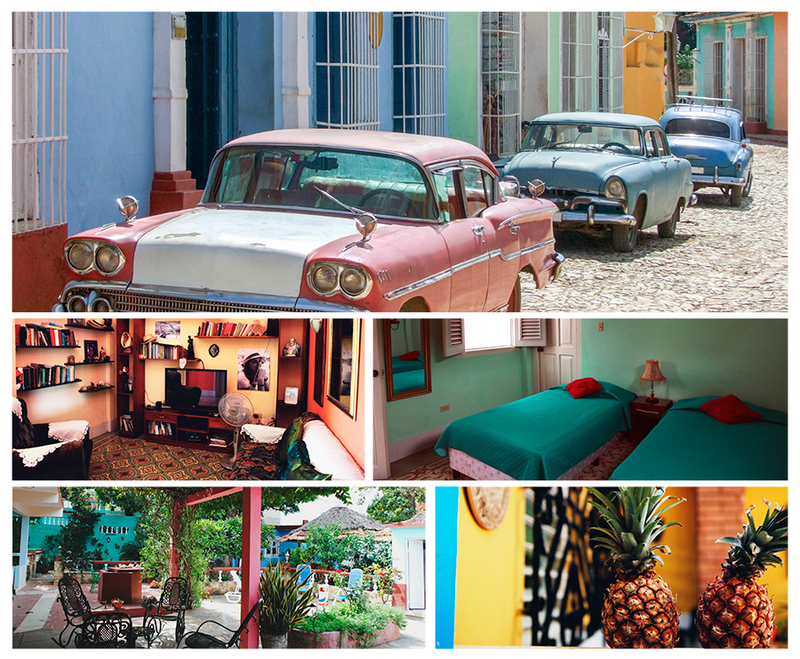 The Residency Fee includes housing in colonial “boutique” style houses with Cuban host families specifically selected by RGNN in the historical centers of Havana and/or Trinidad, with a Cuban family to welcome and attend to them. Housing can be in single rooms (1 person) or double rooms (2 people). The rooms, of a colonial style, are spacious and well illuminated, and all of them have their own bathroom and air conditioning. All of the houses moreover have a spacious common area, such as a salon or rooftop terrace, for Residents to work on their projects. In Cuba: Bilingual Orientation Coordinator. The Artists-in-Residence benefit from guidance for their artistic project before their arrival in Cuba. All requests for guidance must be submitted at least sixty (60) days before the start of the program. With the acceptance of the Artist, information on the processing of orientation requests will be provided. During the Residency program, the bilingual Orientation Coordinator (English / Spanish) will inform Residents about their requests for orientation to carry out their artistic project in Cuba. The Orientation Coordinator will also advise the Residents about other local information they may need. Remember that the Artists carry out a self-directed and independent project; the Orientation Coordinator does not do the work for Residents, he/she orients them – he/she is not a fixer. Publication and Promotion on RGNN.org. The projects and/or interviews with Residents moreover can be published by the agency, RGNN.org, as well as on its diverse communication channels and social media networks, allowing Residents to publish and promote their work to a global audience.